BUSHENYI- The Bishop of West Ankole Diocese, Rt. Rev. Johnson Twinomujuni has launched a unique part of ministry called “The Professionals Fellowship” through which professionals will be mobilized to serve God and benefit humanity. 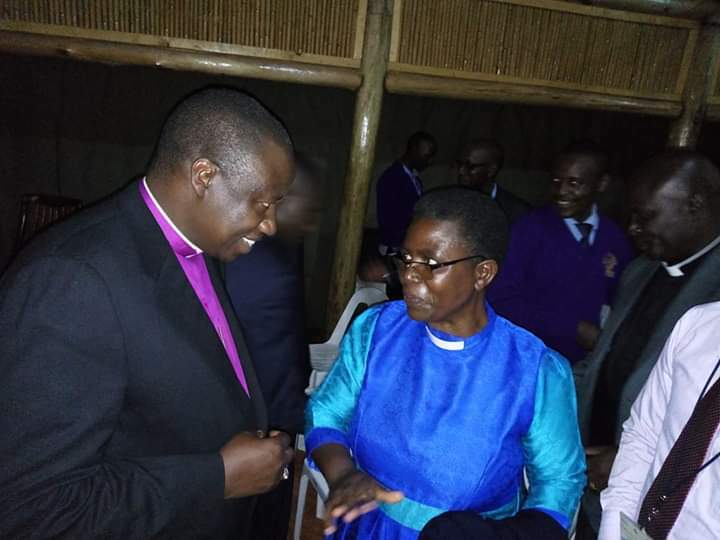 This powerful ministry was launched on Wednesday evening at Tuzza Hotel in Bushenyi town. Officiating the launch of the ministry, Bishop Twinomujuni, who gave a keynote address said there was/is a need for the members of the working class to realise that their potentials in Church and their places of work can be greater than ever before and live lifestyles that please God. He urged the professionals to ensure that there is a high degree of quality in whatever they do following the principles of efficiency and effectiveness. He added that to be successful, professionals ought to widen their scope of knowledge, be good timekeepers, mind about their dress code, be consistent, exhibit humility and kindness, communicate well, walk carefully in the modern era, and be well organized, and above all, accept to give their lives to Jesus Christ whose power will enable them distinguish reality from the “sweet nothings of the world” and at the end go to heaven. At the end of the meeting, the Bishop concluded by asking the professionals to always do what pleases God, what benefits humanity, and that whatever they do, they ought to do it well! Initiated by West Ankole Diocese, the fellowship will benefit professionals from different ends of life since it will be open to all religions. The participants in the ministry will fellowship two times a year in June and December. At their fellowships where there will be eating and drinking together, different motivational speakers will be invited to handle different topics. The ministry will see professionals grow into people of positive influence and discover more about themselves. A what’s up group was instantly formed to ease mobilization efforts.